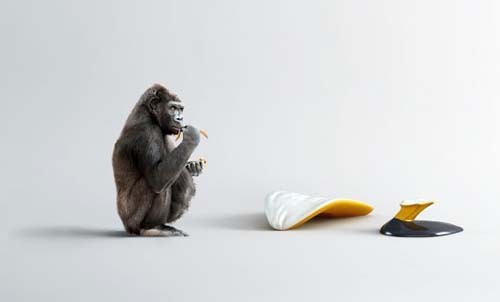 This modern chair design from Poland is inspired by and looks like a banana. Luxurious and soft chair design brings original aesthetic and functionality into room decor, offering a comfortable shape and a cheerful color combination. Modern chair design by WamHouse continues the tradition of creating food inspired modern furniture pieces that add fun to interior decorating. Optimistic and inviting, light and modern chair will add a splash of sunny color to room decor , creating positive atmosphere and lifting your spirit. Stylish and very decorative chair design in bright yellow and white colors is great for sdults and kids room decorating, hotels and restaurants. 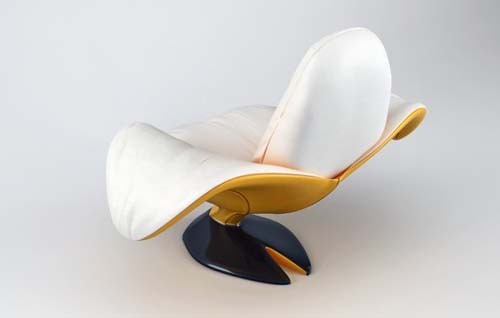 This conceptural chair design has a great potential. 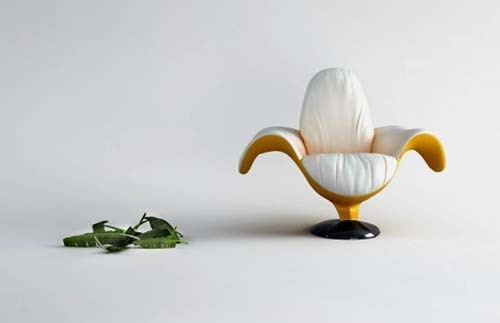 Comfortable high back, padded seat and curvy armrests create a banana peel like chair design that feel welcoming and cute.